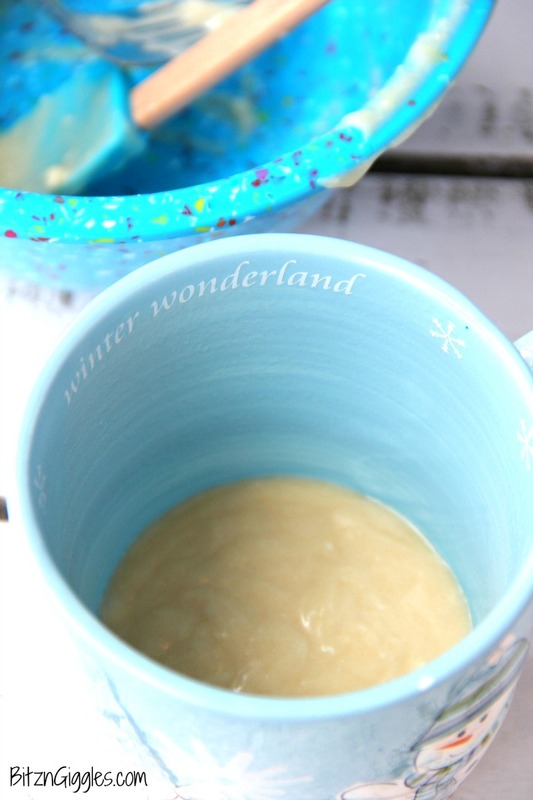 Easy Vanilla Mug Cake – Ready in 90 seconds! 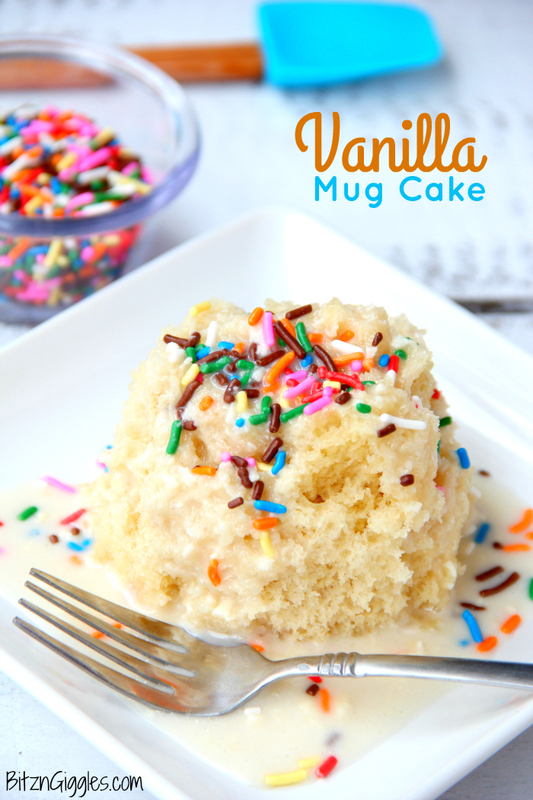 This mug cake is moist, delicious and topped with a lovely vanilla icing that soaks into the cake and infuses it with sweetness! So, eating healthier and getting in shape are part of my goals each year. . .mine and a bazillion other people’s no doubt. It has to be the reason I’m craving sweetness now more than ever. You always want what you can’t or shouldn’t have, right? Well, to satisfy my sweet tooth but keep the portion size in check, I made this yummy and easy Vanilla Mug Cake. This little cake is moist, delicious and topped with a lovely vanilla icing that soaks into the cake and infuses it with sweetness! Pretty smart, right? I’ve never really “trusted” mug cakes. So many have turned out dry and tasteless. It took a little experimenting until I achieved the sweetness I was looking for. And in my opinion, cake isn’t really cake if you eat it out of a mug. Cake out of a mason jar, now that’s a different story. You can “see” through a mason jar so it can still be “pretty.” You following me? So, this is usually my hot chocolate mug from which I drink the most wonderful hot chocolate in the world. Alright, so I’m a little biased, but you can’t get much better than ice cream AND white chocolate. Oh, man. I need to make more of that this winter. . .
What were we talking about again? Oh yes. This mug cake. . .
All it takes is 90 seconds in the microwave, and you’ll have a little “mug” o’ heaven. Classic vanilla cake is just the best. In fact, vanilla truly IS our favorite cake flavor here in the house. One of the most important tips I can offer if you’re going to make this cake is to make sure that your mug is at least 14 ounces or it may “bubble” over while baking in the microwave. Watch that mug closely!! If you use a big enough mug there’s nothing to worry about. My cake took up about 3/4 of the cup, which was perfect. I made sure to spray the mug generously with cooking spray before adding the batter and baking it. That way, when it was done, I just ran a butter knife around the edges of the cake to loosen it from the mug and flipped it over! Here’s the disclaimer. This is not about perfection. It may not look “perfect” when you flip it out of the mug. But in my opinion, it looks much prettier out of the mug than in it. Top it with some sprinkles and you’ll begin to fall in love. Add some sweet icing, and you’ll forget the cake was ever even in a mug. What mug? See. I let the icing soak in a little bit while I filled a glass of milk. . .AND. . .put a few more sprinkles on top. Just look at how moist this is. Drag the cake right through that little pool of icing. Holy moly. Seriously now. Promise me you’ll try this. Believe it or not, the cake is fairly sweet without the icing. If you wanted to switch out the icing for some whipped cream, you could do that, too. Heck, next time I may add some sprinkles to the actual cake batter! So, yeah. There you have it. 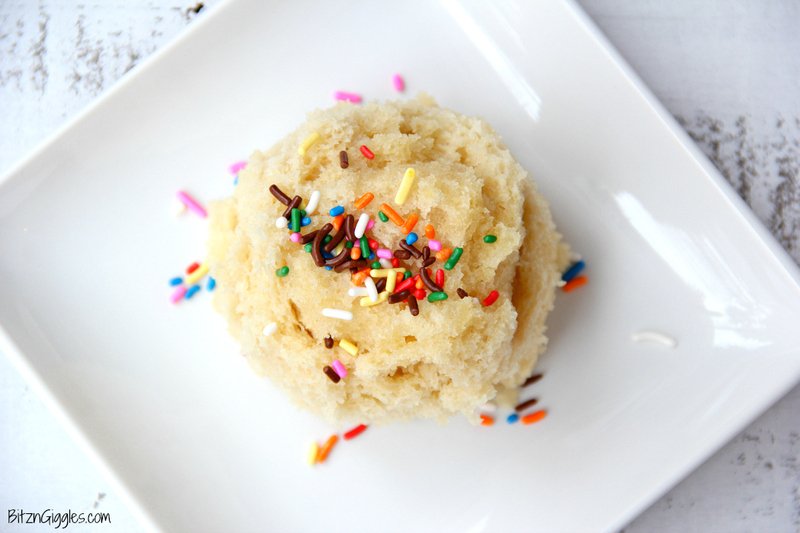 An easy vanilla mug cake perfect for one. . .or two, if you really wanted to share. But when it comes to cake is that even a consideration? I’m going to go and grab an extra mug just to be safe. I’ll make you your own. Do you have 90 seconds to spare? After that, we’ll do PiYo in my basement. You in? Ready in 90 seconds! 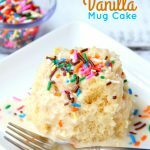 This mug cake is moist, delicious and topped with a lovely vanilla icing that soaks into the cake and infuses it with sweetness! Pour into greased mug (at least 16 ounces). Mix all ingredients together and drizzle over cake either inside the mug or pop cake out of mug onto plate. For thicker icing, add more sugar. For thinner icing, add a bit more milk. Looking for More Delicious Mug Cakes? This is the best mug cake recipe ever! It was moist, light and fluffy. I add sprinkles to the batter before microwaving and it made the perfect confetti cake. Thanks for sharing! That’s music to my ears! I’m so glad you enjoyed it! 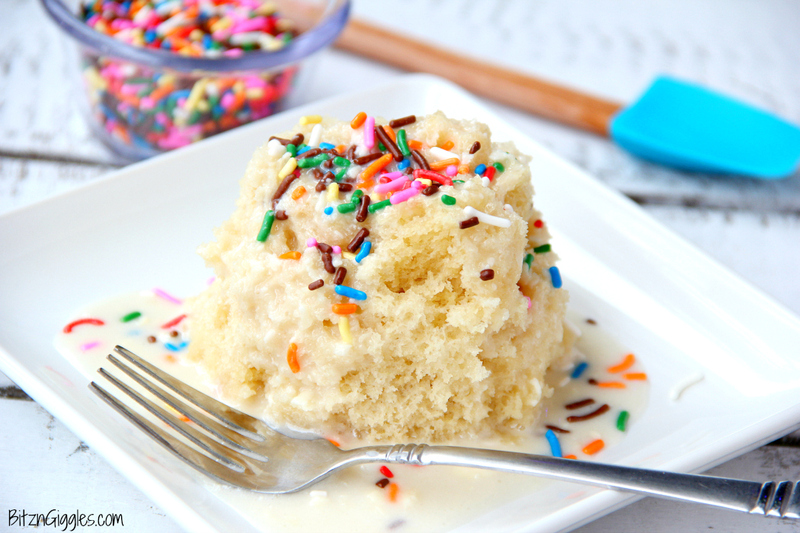 I really love this recipe, too, and I love the fact that you added sprinkles right to the batter! The recipe is specifically for the microwave. I wouldn’t use it in the oven. Good luck! Very yummy, I would probably add a little more vanilla extract or sugar next time, but with the chocolate icing I put on myne it tasted very good and is fluffy! I’m so glad you enjoyed it!! Chocolate icing sounds delicious! Yay! I love this recipe too, Erika! Made this tonight after roast pork and served with icecream and stewed apple it was fantastic! Quite a large serve though ☺ very fluffy and light. 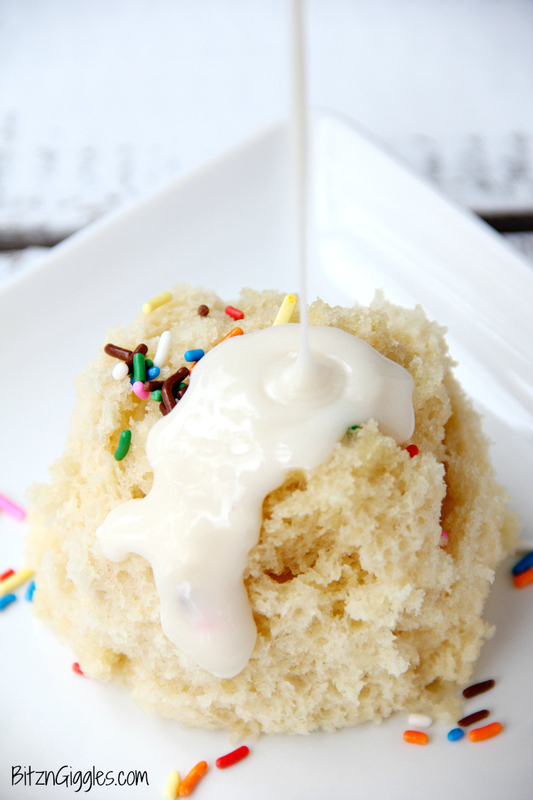 Love the idea above to add sprinkles to batter my kids would love that! I’m so glad you enjoyed it, Dana! I LOVE this recipe! I added lemon juice and zest to the cake and the icing. That sounds like such a great addition! I’m so glad you enjoy the recipe! I absolutley love this mug cake. It is much better than the other mug cakes I have tried. To make it vegan, instead of using regular butter, I used vegan butter! Thanks for the recipe! What a great idea to use vegan butter! So glad you enjoyed it! Oh, I’m so glad you enjoyed it! I know it’s hard to find good recipes. This one is my go-to! Best mug cake I have eaten it is not all mushy at all I typically do not home made cakes so, this was saying a lot that I enjoyed this it was moist, sweet, and flavorful. Thank you for sharing your ideas! Oh, I’m so glad you enjoyed it! Thank you for your sweet comment! Couldn’t find vanilla extract but it still tastes amazing! The cake was so delicious and fluffy! It’s perfect! However, when i made the icing, the margarine ( i used margarine) doesnt want to mix with the milk and sugar. Is it because i used margarine instead of butter? Karimina, try softening the margarine or butter in the microwave next time to the point of melting. That may help it mix better next time. So glad you enjoyed the recipe! hi! i love this mug cake! but may i ask, what is the watt of your microwave? thanks! ? 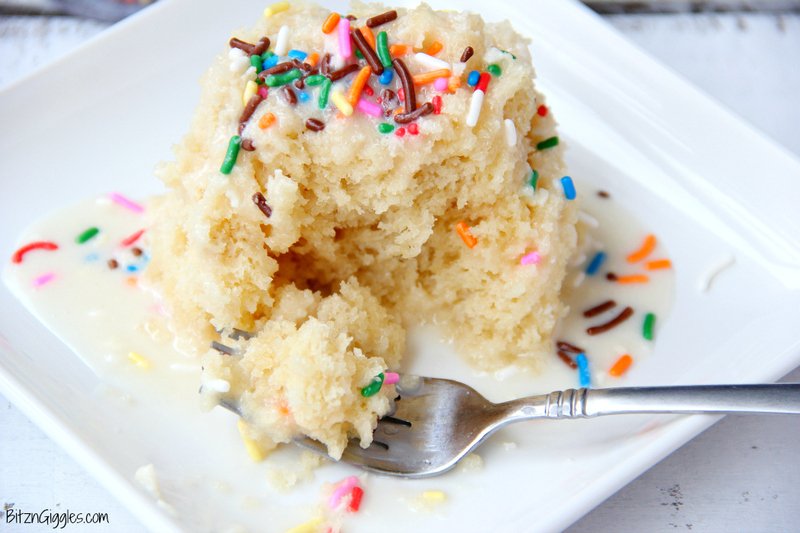 I’ve tried so many vanilla mug cake recipes, and trust me, this is the best one I’ve tried. I normally don’t comment on things but I just felt compelled to for this one. Definitely going to keep using this in the future, thank you so much!! This is really good and I’m so glad I tried it. I had made chocolate sauce for ice cream but didn’t realize we were all out of ice cream. I wanted something quick to pour my sauce over and this was perfect. Thank you. Oh, I’m so glad you enjoyed it, Allie! You can definitely adjust the sweetness level! Sub the frosting with whipped cream or just add a bit less sugar like you suggested! I love this Mug cake but I was wondering, what would be measurements for this cake if I would make it like a regular size cake?? Oh, Alex. I’m not sure. I’ve only ever made this as a mug cake! My first mug cake, and it was delicious! I used coconut sugar so it came out brown but still delicious. I also used coconut oil instead of butter because I was out of butter. I think it still came out just fine. Craving satisfied! I’m so glad you enjoyed it, Stephanie. great idea to use coconut oil! For something so absolutely delicious, it is so simple to do! Thank you for sharing the recipe! I had a hankering for dessert tonight and this totally hit the spot. Thanks so much! I skipped the icing and threw some ice cream and a couple strawberries on top. I love your addition of ice cream and strawberries. It sounds delicious! I made this for breakfast (how is it worse than pancakes or donuts? I asked myself as I tried to justify cake for breakfast) and topped it with strawberry jelly and half a handful of mini chocolate chips. Fantastic! Thanks for the giggle today! I’m sure you deserved every bit of that mug cake. Good for you! So glad you enjoyed it! Not a success. Followed every ingredient and step exactly, and still came out terrible. Looked like something you’d get in a school cafeteria, and tasted like floury, slightly sweet play-doh. Had the texture of modeling clay. I had the same trouble. Ingredients are spot on, maybe my mug was too big? Came out a complete and total greasy looking blob of what looks like corn bread. I’m gonna try a different mug that’s not soo large. Ooh, your substitutes sound delicious! I’m so glad you enjoyed the mug cake! Yay!! I’m so glad your dad liked the recipe, too! Win win for sure! This was delicious!! I only used 2 tbsp sugar for the cake and for the frosting, skipped the butter and drizzled the “fondant” over the cake and let it sink in. Yum!! I also softened the butter for the cake in the microwave in the mug I was going to use and therefore was able to eliminate to cooking spray! This is a keeper and perfect for me as it limits my portion size and prevents me from eating an entire cake. ? I’m so glad you enjoyed the cake and I love your tips! Hi I was just wondering what kind of flour you used? Is all purpose flour okay? Yes! That’s exactly what I used! I love the coconut oil idea! I just broke up with my boyfriend and decided to make this cake. I love the recipe and it made me so happy making and eating this cake! What type of flour is used? I’m not quite sure wheather to use all purpose flour or plain flour. Gluten Free Version – just substitite flour for gluten free all purpose flour. The cake tastes like warm sugar cookie dough. A little sweet for me but my daughter LOVED it! I have tried MANY mug cakes & she usually rolls her eyes when I aanounce I have tried a new mug cake recipe but this time their was not a crumb left. THANK YOU! I love it!! Thanks for such a sweet message, Bonnie! I’m glad your daughter approves!! I didn’t have any milk or normal milk substitutes so I tried using 4Tbsp of sweetened condensed milk + 1 Tbsp water, and it was a gooey disaster. Cant wait to go to the store and pick up some milk and try this right! Just don’t try doing what I did…it doesn’t work and is really a pain to clean up! Oh no! When you get your hands on that milk, let me know how you like the recipe! I can guarantee it will be better than what it was with sweetened condensed milk!! If ever you don’t have milk on hand, water does make a good substitute. Of course, water isn’t a good substitute in all recipes but should work just fine in a mug cake. I LOVED this recipe. I really needed a pick me up and it was perfect!!! Thanks for sharing your recipe!! WOW WOW WOW. This mug cake is the bomb dot com. Super easy to make with ingredients that even a college student like me can source at 1:30 in the morning on a Monday night. I added a spoonful of nutella after 30 seconds in the microwave, hoping it would sink about halfway while cooking, but the cake was cooked in 60 seconds for me and the nutella just melted a bit and spread on the top. Oh well, every spoil is a style. This was honestly so good I’m craving another one but it was just the right size and sweetness I don’t think I could handle two. Michelle, so happy you’ve found a midnight snack you love! Make sure to share the recipe with your friends and roommates! I think they’ll love it, too! The Nutella sounds heavenly! Mine turned out perfect. It’s delicious. Thank you! Love from Malaysia. Recipe turned out just how I wanted it too!! Super fluffy and delicious. I made a simpler icing by using 1/3 cup confectioners sugar and 1 tablespoon milk. Made the cake even better than it already was. I’m so glad you enjoyed it, Emma! Wtf, this mug cake is one of the most delicious things I’ve ever tasted from a microwave. Major props, I might make this instead of baking regular cakes now. 🙂 It’s sure a lot faster than baking a full cake, isn’t it?! I didn’t have normal powdered sugar so I had to use cinnamon powdered sugar and it turned out so good. It almost tasted like a cinnamon bun❤️❤️. Ooh, what a great idea! I never heard of cinnamon powdered sugar! This was perfect! I’ve tried several mug recipes and have been disappointed with each one until this one. This hit the spot and tasted so good! I’m so glad you enjoyed it, Christina! Ha! Ha! Yes, next time double it up! I whipped this up last night for a personal sized quick dessert. I added some fresh raspberrys and a handful of white chocolate chips before popping into the microwave. Seriously best mug cake I have ever had! My hubby stole half of it. I will certainly be making it again! What a great idea to add raspberries and white chocolate chips! You’re making me hungry! It’s astonishing that I still have faith in the internet with recipes, but for this mug cake, I’m glad I still do. Every recipe (and there have been many, many, online recipes) that I have tried from online have failed me except for these two. Thank you for making an actually good mug cake! If I can make it and it tastes good, it must be a miracle. Well, that’s quite an honor to be in your top 2 recipes from the Internet! Chelsea is great and if you think her cookies are good, you need to try more of her recipes! Thanks so much for taking time to comment. Comments like this always make my day. Thanks so much! I hope you stick around for more fun recipes and ideas. I’d love to have you! Bethany, just make the mug cake and top it with some Cool Whip if you’re having trouble with the frosting. I KNOW you can make this cake. Try it one more time and let me know how it goes!! This mug cake is amazing. I used soy milk instead of regular milk it was so yummy! Every microwave is different. I hope you try again and maybe just put it in for a minute – then check it. You can always put it back in a little longer. Sometimes microwave recipes take a bit of experimentation. Good luck! Hey, I want to make this but I don’t have baking powder. What could I use to substitute it? You could try baking soda and lemon juice if you have that. Measurements are a teaspoon of lemon juice plus a ¼ teaspoon baking soda to make 1 teaspoon of baking powder. thank you so so much for this. I made this and put diced strawberries and whipped cream on mine. Yum! Just made this, and it was delicious. I didn’t add the icing, just sprinkled a little cinnamon on top before nuking. I was scraping the mug when I was done. I’m so glad you enjoyed it! Great idea with the cinnamon! My husband was craving cake and I tried this recipe and he said it’s amazing thanks a lot I’m gluten allergic so myself couldn’t try it. Amazing! Instead of the glaze I used strawberries with sugar. I accidentally used bread flour! But it still came out good. I drizzled salted caramel sauce while still warm. Then topped it with whip topping.Yum! The texture is somewhat like malay cupcake? Next time I’ll make sure it’s all purpose flour. 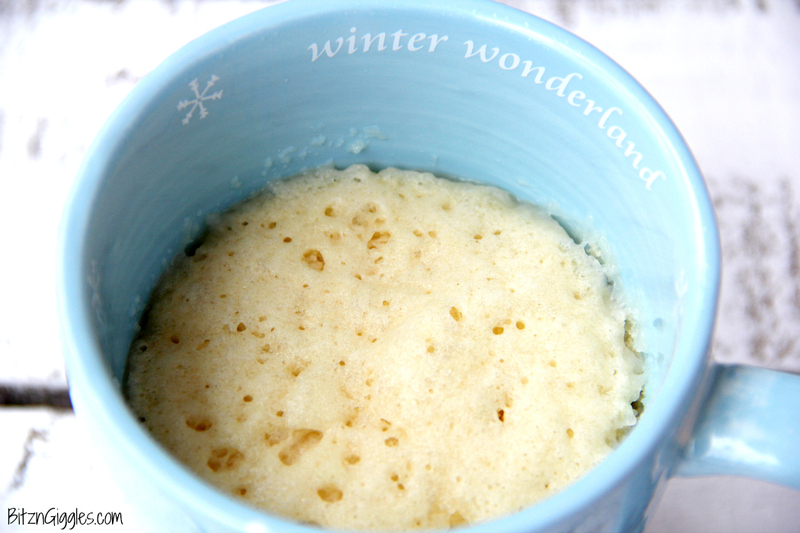 This mug cake is ok… I could really taste the vanilla and it was kind of light and airy. I guess I’ll continue to make chocolate mug cakes instead. Threw this one out. I tried making it with heavy cream and without butter and it tasted like doughnut icing! I loved this recipe, the only thing was that the icing for my vanilla cake had a bit too much vanilla. I think it mixed in well though and was very balanced. Glad you liked it, Josie! This tasted like an egg patty and the smell is not inviting at all. Like someone farted in my microwave. I’m still not for sure on using a whole egg. An entire cake recipes calls for only 3 and i don’t think the mug was the equivalent of a 1/3 of a cake recipe. I’ll give it another try, I guess the bonus is that I didn’t waste a whole lot of ingredients on this recipe. Happy Caking! Well, so first of all, you made me giggle a little today about your microwave comment. Your problem is an easy one and I can help! There are NO eggs in this recipe. Take a look and try it again. I promise you’re going to love it the second time around with NO egg! 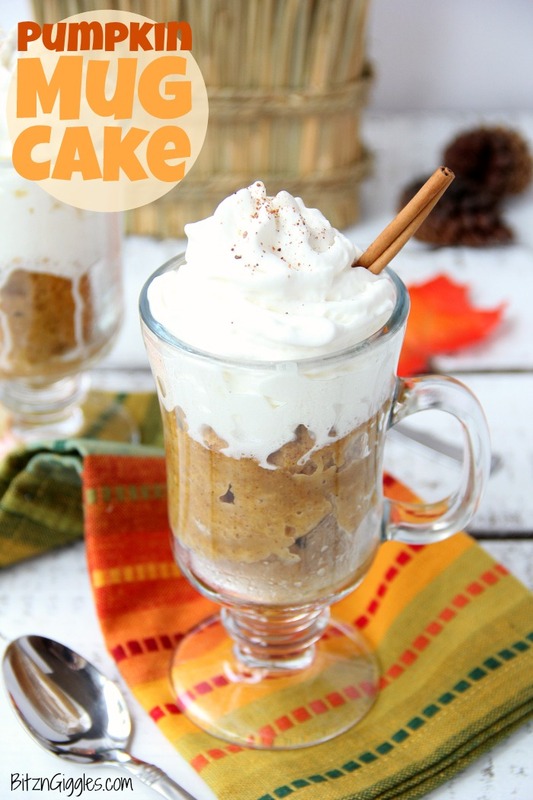 My my my, what a wonderful cake in a mug recipe. I’ve never made one before but have heard quite a few horror stories about them. Last night I really wanted a quick sweet cake, so I searched the internet for quite a while and thought I’d try this one and I have no regrets. I made minor changes, instead of cooking spray I used butter to grease the inside of my cup and used lemon instead of vanilla. It came out like a very fluffy sponge. It’s perfect, thanks. I love your idea with the lemon. It sounds delicious! Made two just now and they both came out perfect! I added mini chocolate chips to mine and it was definitely very sweet. I think next time I’ll add a bit less sugar but keep the mini choc chips! I love the addition of chocolate chips! This is hands down the best mug cake EVER! Super easy and tastes fantastic. One this that is great about it is that it takes up the whole mug, not just halfway. Lauren, I’m so glad you enjoyed it! It’s such a quick go-to treat. Perfect for the coming winter season! This is really good. Moist and not too sweet and not too many ingredients. Made it several times. I stirred in some Nutella and my son likes it. Thank you for sharing the recipe! I love the idea of adding in Nutella!! OMG this recipie was very delicious and so moist!! Your definetly doing your job RIGHT Sara!! Doing this recipie next time I get another craving. Thank you so much, Belles! I’m so happy you enjoyed the mug cake! Due to an oven mishap in our new place, we missed out on having dessert this Thanksgiving, so I was really craving something sweet today. This was my first time trying a mug cake recipe and it was heavenly! I am semi-lactose intolerant, meaning I can have dairy but it has to be cultured like buttermilk, yogurt, cream cheese, etc. So, I substituted sour cream for the milk, hoping for the best. I also didn’t have a mug larger than 12 oz, so I used a 2 cup shallow ceramic baking dish instead. I also added about 1.5 oz. of cream cheese to the icing to make cream cheese icing. It was just delicious. Thank you so much for the recipe. Good work on such creative thinking! It sounds like your version turned out wonderfully! I’m a lazy girl, and this cake is just so yummy! I used a homemade icing on mine, and it’s heavenly! I’ll probably make this more often. I’m not sure I know anyone who likes complicated recipes! So glad you enjoyed the mug cake! Can I use Baking soda instead of Baking powder?? Unfortunately no. They are not the same thing. You’ll need to use baking powder or you won’t be happy with the results. Dont know what is wrong with ingredients. My cake turned out hard.very hard.i just substituted butter with vegetable oil and clarified butter.sooo sad the taste is totally horrible. Can you tell me what mistake i did…. Hi Jo, it sounds like you may have made too many substitutions. Next time, try the recipe as written and see if you have different results. I’ve tested this recipe many times and I’ve never had it turn out hard. As others have also written here, the recipe is really delicious. Hope you try again following the recipe as written. Good luck! After a lot searching and many unsatisfying recipe attempts, I can honestly say that this is the best one I’ve tried- in terms of flavour AND consistency. Thank you, Shiana! I’m so glad you enjoyed it! I adore this recipe but I think you have a typo. I think it’s supposed to be 1 TEASPOON of milk for the icing. A tablespoon is too much but a teaspoon makes the perfect icing. Amazing mug cake! So moist, light and fluffy. One the fluffiest mug cakes I’ve ever made plus I had everything i needed in my pantry already! This recipe is absolutely sinful. I love it. The cake is so soft and fluffy and soaks the icing like sponge which is madness. I had it with my left over full cream milk to balance out the sweetness and it was divine. I’m currently a college dormer looking for a pick me up and don’t think I’ve ever had mug cake this perfect! Thank you so much for this! I hope you share the recipe with your entire dorm! Please do! LOL So glad you enjoyed it and let me tell you what. . .I know what those dorm days are like and when you need something sweet. . .you need something sweet. So glad this mug cake recipe came to the rescue! Thanks so much for your comment and rating! I made it today with my girls. It’s perfect for a rainy afternoon… matched with a cup of tea. Love it so much. Thankyou for this recipe and greetings from Indonesia ? I’m so glad you and your girls enjoyed the recipe. I love the fact you paired it with a cup of tea. That sounds divine! 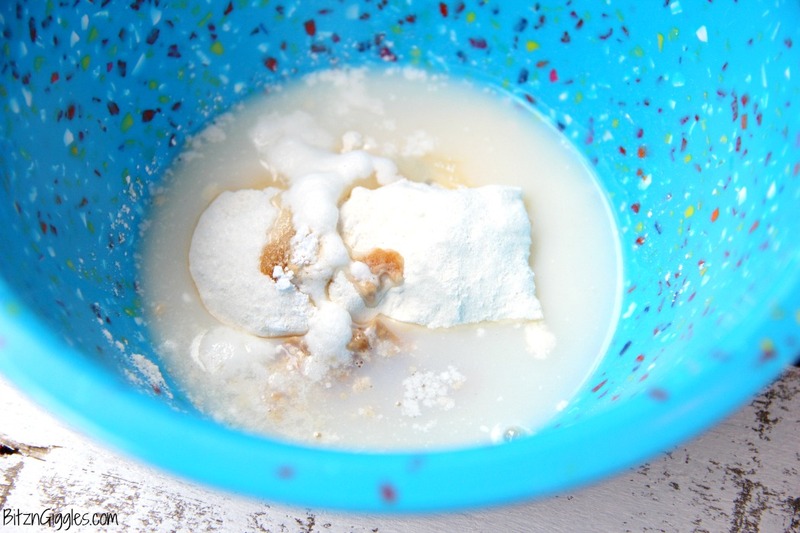 If you use baking soda, you will still need to add some acidity. If you have no cream of tartar, you could try plain yogurt. It’s your best best for adding some acidity without the flavor. When i made it even with your ingredients, it turned out absolutely rotten that I had to dump it. I really was dissapointed that the cake mix tasted rather salty. Oh no! I’m not sure why it would have tasted salty – only a very small pinch is in the recipe. Maybe next time omit the salt? Not sure why your results were so different from others’. Wish it would have turned out better for you. Maybe try again with unsalted butter and no salt when preparing? Well I suppose i should’ve not bothered with the salted butter and I put in bread soda instead of baking soda, would that have made a big difference? I was so mad at myself since I never baked for myself before. I’m so sorry it didn’t work for you, Kate. I made this recipe today but found that the kids had polished off the milk earlier in the day. I substituted vanilla coffee creamer powder. It worked perfectly! What a great idea to substitute the creamer! Hmmm. Maybe add more frosting if you really like sweetness. Place a dollop of pre-made frosting on top of the cake in the mug as it comes out of the microwave and it will melt around it. Delicious, everything about the recipe is WONDERFUL! Would Definitely Recommend! I made it with almond milk instead of regular milk and maple syrup instead of vanilla (I’m a college kid so I have weird ingredients on hand) and I also put some canned chocolate frosting on top and it’s really good! Maddy, I love your substitutions. I know all too well what it was like to be in college and use whatever you have on hand to make a quick snack. So glad you enjoyed it! The problem could be the ramekins. Make sure you’re using a large mug. I’m thinking the ramekins are too small. Update! I played with the recipe. The ramekin is a good size, around 5x3x2. 4 Tbs. of mix, 4 Tbs. of milk, 2 drops of vanilla extract and then microwave for 1 min….its perfect! 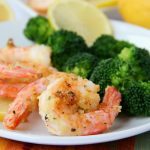 I know this is an old blog post, but I recently came across this because I was looking for a simple recipe that I can mix up ingredients for different flavors of fun. Everyone has different recipes for their mug cakes and you can’t always change ingredients. I used olive oil instead of butter and 1/4 teaspoon of lemon extract instead of 1/2 teaspoon of vanilla. After I microwaved it, I topped it with some strawberries and my homemade lemon icing. Oh man! I had to write this down. This will be my go-to when I need a little sweetness. I want to thank you for sharing this recipe. It’s super simple and versatile. Wow, it’s great to see the recipe stands up to so many substitutions. Thanks for sharing, Monique! I’ve had some garbage mug cakes but this one really blew me away. Easy and delicious. I replaced the white sugar for turbinado sugar and added a few drops of orange oil to the icing, omitted the sprinkles. Amazing!! I’m so glad you enjoyed it, April! Thanks for leaving a comment! So moist and delicious ?! I tasted great with this homemade apricot jam?. Thank you for making this. What would be the measurements if I wanted to use this for a full cake ? Oh, gosh. Hmm. . .I’ve never made this into a full cake so I’m not sure of the measurements. Glad you enjoyed the recipe in mug form! Loved it so much just one thing I always add a little more milk because 4 spoons isn’t enough so I addon’t another spoon full. This is such an amazing resipe. I loved making it and it came out perfect. 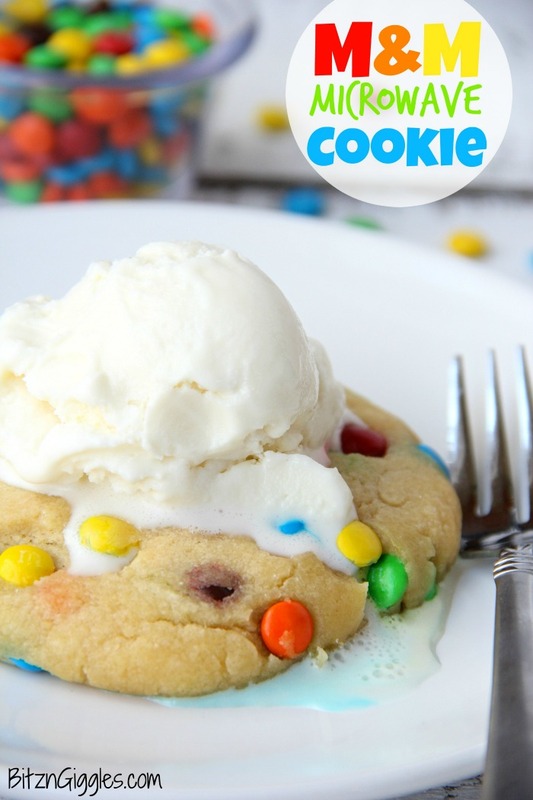 Totally made makimg dessert easier?. I was wondering though if you can make the vanilla cake a chocolate one by just adding cocoa powder or is it going to mess up the cake? I’ve never tried adding cocoa powder, Tanya, but you can try! This mug cake is definitely the best I’ve ever had and I’ve been making mug cakes for about 10 years! I doubled the recipe, subbed butter and milk for vegan butter and almond milk, and subbed 1 tbsp milk for lemon juice in both the icing and the cake. I cooked it in a glass Tupperware container and it was amazing! I’m so glad you enjoyed it!! Yay!! Made this without the icing and added some chocolate chips instead. Very fluffy and yummy without the eggyness. Thanks for the recipe. Love this. I love the addition of chocolate chips. I’m glad you enjoyed it! My batter only came up to 1/4 th of my cup, and the mug was not uncommonly large. How ever, I used all of the ingredients in the right amounts. What happened? The batter won’t fill your mug, Julia. When the cake cooks it will begin to fill the cup. Did you try cooking it? Did it turn out after you placed it in the microwave? I used coconut oil instead of butter and omg! This was so good and fast and simple to make when u are craving sweets and nothing is in the house. Great idea using coconut oil! It tastes good, but no matter how long you cook it for, it is still slimy and undercooked in some places. Hi Cece, well that doesn’t seem right. Have you tried cooking it in different mugs? Sometimes microwavable crock soup bowls work well also. So many people love this recipe. I hope you’ll try it again. You may have to experiment a little with different mugs and cook times to get it right for the microwave you’re using. I was wondering if it’s possible I use lactose-free milk instead of regular and it still having the same texture and taste? I don’t have much experience with lactose-free milk so I probably can’t help there. The good news is, because it’s a mug cake, the amount of ingredients used is small so you it gives you a bit more freedom to experiment with the recipe! 🙂 Let me know how it turns out with the lactose-free milk if you try it. Awesome! So glad you enjoyed it, Liz! 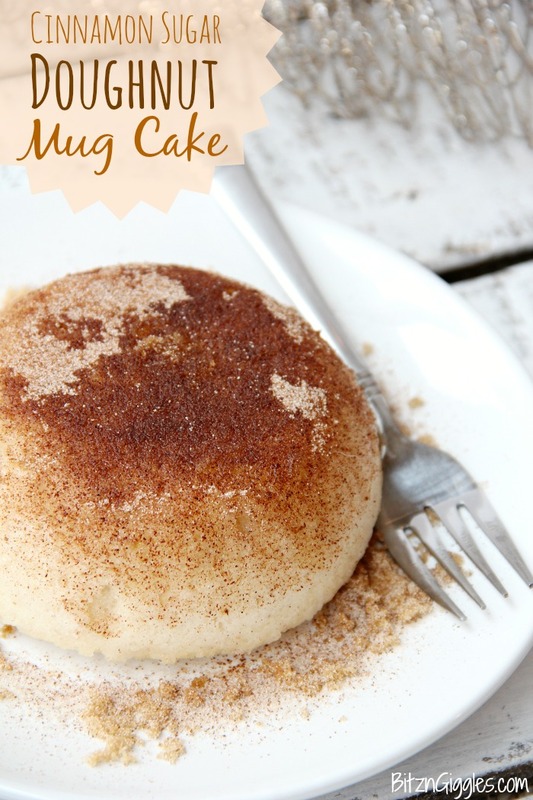 The best vanilla mug cake I’ve tasted so far! I did make some adjustments after the first batch. I use coconut oil instead of butter, 2 tbsp heavy whipping cream + 2 tbsp water instead of the milk, and increased cooking time. Also, if I feel like having chocolate cake, I just add 1 tbsp of dark cocoa powder and changes above to the recipe. Delish! So glad you enjoyed it, Cynthia! Your additions sound delicious! Mine turned out dry crumbly and flavorless. I must have done something wrong. Disappointed ? Gosh, I’m not sure what happened, Sally. Maybe try again and check the cake halfway through cooking next time? Wanted a little something to go with the last of the vanilla ice cream, so I doubled the recipe and made a couple of mugs. Wonderful cake, moist and fluffy. Didn’t come out of the mug in one piece, but we were too busy scarfing it down to care. This is a diet wrecker, way too easy to make! 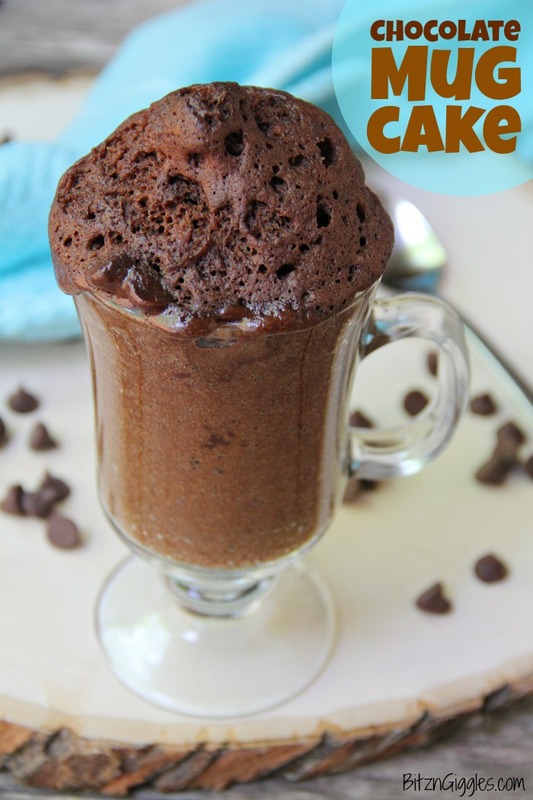 This mug cake + ice cream = a diet wrecker! I love that. LOL So happy you loved it! Where is the nutritional information? Am I just not seeing it? I don’t include nutritional information on the recipes I share. I used to have a plug-in that calculated it for me but I saw too many inaccuracies. I didn’t feel comfortable providing information that I wasn’t sure was correct. I hope you understand! This cake is very good! I have Celiac Disease but I decided to try it anyway and it was so good! What I did was I replaced the regular flour with rice flour and it worked the same. I also switched the milk for Dr. Pepper, another happy surprise! It tasted great and I bet you could switch the milk for any kind of soda. I like this recipe because its easy and it doesn’t take a ton of ingredients. Don’t be dumb like me and eat it straight from the microwave, I’d give it a minute or two. Great recipe easily made gluten-free. Thank you for sharing your gluten-free twist on the recipe! So glad you enjoyed it! I have a question,I don’t have baking powder so can i use baking soda? Well, technically yes but it’s not a 1:1 substitute. For every 1 teaspoon of baking powder, you would need to combine ½ teaspoon cream of tartar plus ¼ teaspoon baking soda. The other option is to use lemon juice and baking soda (it may affect the taste a bit more, though). You’d use a teaspoon of lemon juice plus a ¼ teaspoon baking soda to make 1 teaspoon of baking powder. Hope this helps! I loved it. Just tried it out. Thanks. I’m so glad you enjoyed it, Lynda! It turned out polvorised and it smelled like buttering and tasted like sugar and it felt like sand in my mouth. Was very dissapointed. The absolute best mug cake I’ve ever tried !!!!! I felt like I’ve tried every mug cake online and I’m excited to say that I found the perfect one! Thank you. I’m so glad you approve, Kai! Delicious, thank you! Made with Vegan butter and coconut milk. ? We didnt have anything fun to snack on in the house tonight but had these ingredients, so we tried this… and I’m so glad! I’ve tried other mug cake recipes before but this was hands down the best. This recipe works great! I’ve tried many before and I was starting to think mug cakes were only for the professionals. This tastes soooo good! This mug cake is AMAZING. When I’ve had a stressful day, I come home and make this! It can definitely help out with a “not so great” day! Had some left over icing, didn’t want it to go to waste. One of the best recipes I’ve tried. I’m so glad! Thanks for your comment! I skipped the icing and instead topped the cake with sliced banana, hot fudge, and vanilla ice cream. So yummy! I was nervous because the batter seemed thin, but I trusted the recipe and stuck to the measurements. I’m glad I did, because the cake was perfect! I had to cook it for 20 seconds extra because I have a low-watt microwave. Could you put nutella in the middle of the cake? I’ve never tried it, but let me know if you do. I suppose you could always put a dollop of Nutella over the warm finished cake also if you didn’t want to put it in the actual batter. Very moist and rich mug cake! For a coconut twist, I replaced the milk with coconut creme coffee creamer, and the vanilla flavoring with coconut flavoring in both the cake and frosting. Next time I will try a lime glaze instead of the frosting to cut the sweetness a bit. Ooh, I love your coconut twist to the mug cake! I loved the cake.It turned out very soft and moist. I just had to add more milk in the batter as it was very dry with only 4 tablespoons milk. The cake tasted awesome though. Thank for the recipe!! :) I will definitely make it again. Mug cakes can vary based on the size of mug you choose to use, etc. I’m so glad you found the right amount of milk to achieve the consistency you were looking for! this is a very good mug cake. i had to microwave mine for 145 seconds. it also was very bland. What a great idea with the Kahlua! Hmmm. I’m sorry to hear that. You need to make sure you’re using a microwave-safe mug. If the mug you were using was marked as microwave-safe, I would contact the mug manufacturer and let them know what happened. Good luck. Just made this and I’m not even finished eating it but I had to give you another rave review right away. This is my go-to now for mug cake! I used Cool Whip as a topping and let me tell you it was fabulous! I used vanilla almond milk due to lactose intolerance and just left out the vanilla. Divine!!!! I’m so glad you’re enjoying this recipe, Inga! Thanks for the awesome review! It’s possible you cooked it too long. 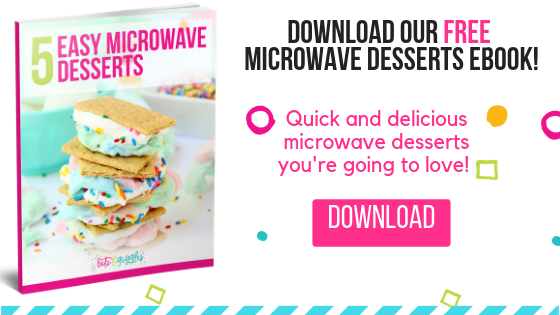 Every microwave cooks a bit different so you’ll need to experiment a little to see how much time the cake needs in your microwave. The 90 seconds I shared for timing is pretty standard, however. Absolutely delicious!! Easy to make and yummy to eat! It has a super fluffy texture and is super super sweet. I’ve been looking for recipes and every one I find is chocolate so I was glad to find a nice yummy vanilla recipe!! I have to say, I don’t know how your recipe is so good, but that mug cake tasted and looked amazing! <3 I didn't have any vanilla essence so I used a bit of golden syrup instead and it tasted lovely. Thank you for sharing this amazing recipe! my 9 year old son made it all by himself! So moist and yummy! Only used 2 tbs of sugar in the cake and came out great! So glad to hear that! I bet you’ll find him making these quite often now! HEY! 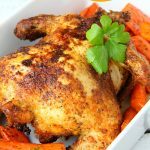 I ABSOLUTELY loved this recipe!! It was so amazing! But I was wondering… if I were to make the icing chocolate, how much cocoa powder would I add? Thanks so much! Start with a teaspoon and work your way up from there. Just keep tasting! Hi Dori! I have mug cake recipes on the site that use eggs as well. An egg often leavens and firms the cake. In my recipe, the baking powder helps with that. I often use an egg in chocolate mug cakes because it’ll make the mug cake much richer, too! Ha! I’m so glad you enjoyed the mug cake! I tried this and it was gross!! Don’t know what happened I followed the recipe perfectly and it tasted like it was poisonous ☠️. It took almost triple the time it said on here and I have a high power microwave. So disappointed because all over recipes on here are lovely this one was just not good. Oh no, Olivia. I’m so sorry to hear this. 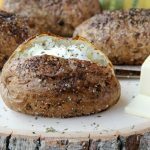 This recipe is a reader favorite but as I’ve said before, microwaves differ and maybe the combination between the mug and the microwave didn’t turn out? I’m not sure but I’m so disappointed this didn’t work for you! Does this recipe NEED the icing? If it tastes like a pound cake, that’s perfect. But if it’s a bit flavourless without the icing, then I’ll try something else. Just not a fan of icing I know, I’m weird). No of course not! You definitely don’t “need” the icing. Sometimes I just put a dollop of Cool Whip on top! i’ve always been sceptical of te idea of a mug cake (i mean…a cake…in a mug!…COOKED IN A MICROWAVE!?!) but this was simply delish. sadly, bc my microwave is older than me! some parts were not cooked (but that might’ve just been the way i mixed the butter in, next time i’ll use melted butter! or make sur met butter is soft enough!). def will make again! I’m so glad you enjoyed it, Jenni! I’ve never baked a mug cake. I was craving for a vanilla cake and google led me to your recipe. So good. So moist. Cravings satisfied 200%. (I only used 2 Tbsps of sugar as I am not a sweet tooth) thank you so much for creating this recipe…! I love the recipe but could you make a flourless one for some of us who want to bake but don’t have all the supplies? I will have to whip up a flourless mug cake for you! Stay tuned! Love this recipe! I added some apples and cinnamon to mine and I really liked how it tasted although I had to cook it longer for the apples to be soft. Because i cooked it longer, it was a little dry. But still really yummy AND easy! Will have to use this as a date night dessert. Can you use water instead of milk?? I’ve never tried it. It may make the cake harder and flatter then it should be? Hi, I was wondering if I could use this vanilla mug cake recipe as base for other cake flavors. It looks pretty yummy and moist. Maybe just adding like baking soda if I make making chocolate mug cake? Would you agree? Thanks for the recipe. ? Girl, oh girl, this recipe made for one ugly cake, but it was 100% delicious! I was craving something sweet and easy and this hit the spot! The recipe was perfect and the cake tasted great! I used some store bought frosting and sprinkles I had on hand, but I’ll definitely have to try the recipe you suggested. 5/5 stars!!! Erica, so funny! You’re right, mug cakes aren’t real pretty but they can sure satisfy a craving. Wow! Made this for my niece at 12am. She was telling me she wanted brownies or cake or something so I googled mug cake! My batter was really soupy so I was skeptical, might have added too much milk, but it actually turned out really qell! I think next time I’ll double the recipe though. Icing was tasty! I think overall I added a bit more vanilla. Thank you for the great recipe! It satisfied her late night sweet hankering. So glad your niece enjoyed it, Joe! Thanks so much for rating and leaving a comment! This is the best mug cake I’ve made thus far. Usually they have a faint taste of baking soda, but this one does not. This recipe makes a cake that is moist, fluffy, and tastes great. Highly recommend! Don’t understand how it’s 4.5/5 stars, it is only a mug cake after all so you shouldn’t expect much. Excellent recipe but why must I read an essay of crap before the recipe! Wow. Well, that was a bit harsh. I’m glad you enjoyed the recipe. I hope you have a better day tomorrow. Sara, thanks! Very tasty mug cake turned out. Very cool photos! So glad you liked the mug cake! Sara, nice idea! This cake look absolutely delicious! I need to try it! I hope you do try it, Alina! This is THE BEST mug cake I’ve ever made! It was perfect! I’m so glad you enjoyed it, Viviana! In the recipe you call for baking powder, but in the video, it’s baking soda.. just want to verify which one the recipe calls for. Thanks! Chelsea – it should be baking powder! I’m in process of fixing the video. Thanks so much for your message! It tastes good. The bottom was undercooked (which honestly doesnt surprise me) and the icing was more like a glaze. The cake was also a little dry. I probably won’t make it again but it had a good taste to it! !